OAKVILLE, Ontario, Canada and Dubai, United Arab Emirates — VL OMNI, a Canadian-based agile point to multi-channel data integration platform operating globally, announces an invite-only event tailored to elite and luxury Middle Eastern brands interested in learning more about Shopify Plus and cutting-edge ecommerce for MEMA. 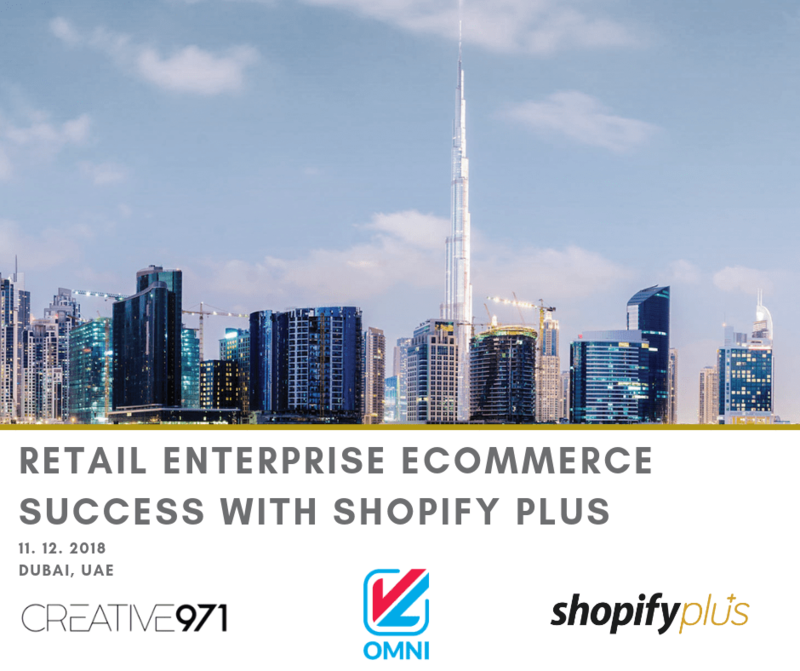 In partnership with Creative 971 and the Canadian Consulate in the UAE, this 12 November, 2018, invitees will hear first-hand from Shopify Plus Partners and scaling MEMA merchants about both opportunities and challenges that come with brand growth under the theme of “Retail Enterprise Ecommerce Success with Shopify Plus”. Supported by and unified under the Shopify Plus and Shopify Plus Partner community, VL and Creative971 are delighted to be able to help bring top-tier technologies and industry experts to the growing retail ecommerce market in the Middle East, including helping to bring together in Dubai and the United Arab Emirates through hosting this education and thought leadership-forward gathering. Both VL OMNI and Creative971 are excited to continue to expand our reach alongside valued partners in the multichannel and ecommerce retail space and to continue to build lasting relationships with our partners worldwide.